When an innocent newborn suffers the consequences of a preventable medical error, the results can be devastating. 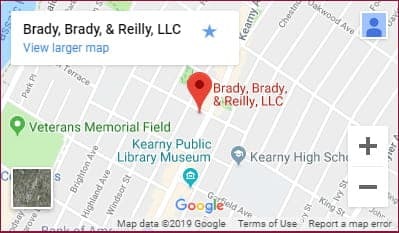 Since 1965, the medical malpractice lawyers of Brady, Brady & Reilly, LLC, have partnered with injured victims and their families to hold negligent parties accountable for their actions. We help families get answers, we aggressively pursue compensation for birth injury claims, and we are prepared to go to trial when that is in your best interests. Our firm provides the very best in individualized service and demonstrated results. Contact us to schedule a free consultation with one of our experienced birth defects attorneys. So much can go wrong during a birth. Many serious birth injuries result from improper delivery techniques, failure to properly monitor the fetus, failure to call an appropriate specialist or failure to perform a necessary C-section. Without an experienced attorney, it is difficult to uncover the true cause of your child’s injury. Many of these injuries are catastrophic and will require expensive, long-term medical care from specialists. If a medical professional’s negligence caused your child’s birth injury, you have a right to pursue compensation for losses such as medical bills, long-term care, pain and suffering, and lost earning capacity. Working with medical experts, as well as life-care planners and economists, our attorneys can help you calculate past and future damages for a birth injury. To learn more about how we can help your injured child, contact one of our birth injuries lawyers in Newark and Jersey City. To schedule a free consultation, call us locally at (201) 997-0030. We represent clients in Essex County, Hudson County and throughout North Jersey.